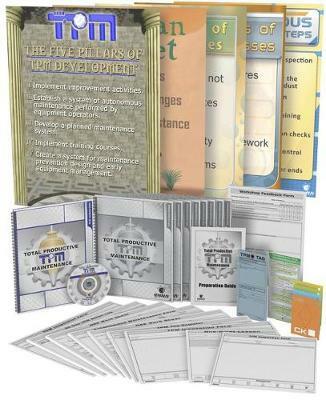 TPM Training Package is a system that focuses your energies on eliminating down-time and unexpected losses in order to bring your productivity to world-class standards. EnnaaEURO ™s TPM implementation and training package will allow you to institute a robust system that focuses on standardizing practices and reducing your maintenance needs. Your employees will develop a customized Total Productive Maintenance system based upon the tools that they learn throughout the workshop, leading your organization to increased productivity and the elimination of unplanned downtime.